Johnson County is a county located in the state of Iowa. 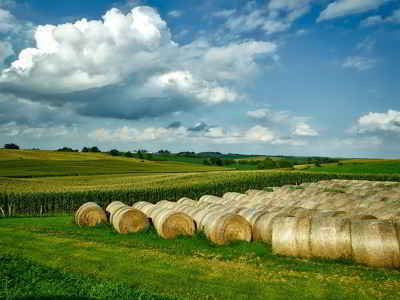 Based on the 2010 census, the population was 130,882 making it the fifth-most populous county in Iowa. Johnson County was created on December 21, 1837. The county seat is Iowa City, home of the University of Iowa. The county is named for Richard Mentor Johnson, the ninth vice president of the United States. Johnson County is included in the Iowa City, IA Metropolitan Statistical Area, which is also included in the Cedar Rapids-Iowa City Corridor Combined Statistical Area. Johnson county is named for Richard Mentor Johnson, the ninth vice president of the United States. Johnson County is named for Colonel Richard Mentor Johnson and not Andrew Johnson, as some believe. Colonel Johnson was in the War of 1812, senator from Michigan and the vice-president of the US during the Van Buren administration. Until the late 1830s the area known today as Johnson County was nothing more than wilderness and a hunting ground for the Fox and Sac Indians. Between 1832 and 1837 the Indians were stripped of their lands by treaty. Soon settlers began to move into the county. The county was established in 1837. 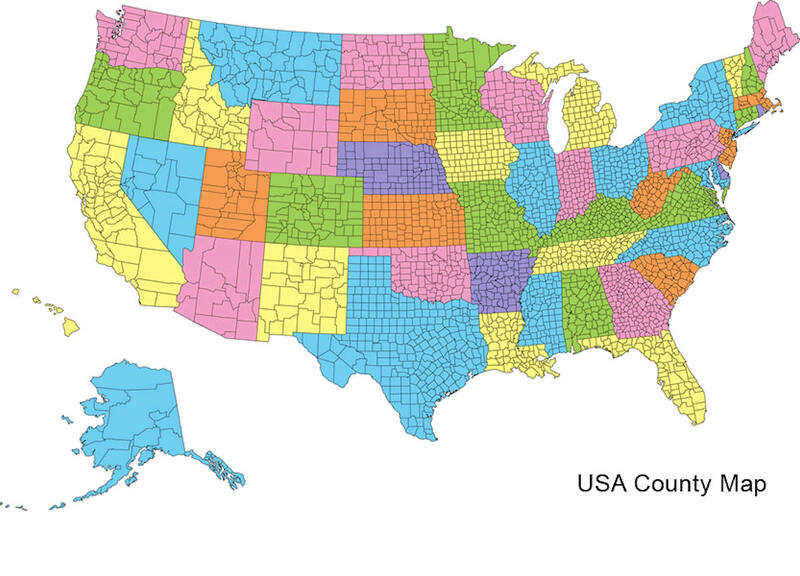 By 1838 there were two towns competing for the county seat--Osceola and Napoleon. An Act of the Wisconsin Assembly selected Napoleon as the county seat on June 22, 1838. A two-story log cabin courthouse was then constructed at Napoleon. When the First Legislative Assembly of the Territory of Iowa met at Burlington a bill was approved to locate the seat of government for the Territory of Iowa. The site was to be within the boundaries of Johnson County, and it was to be named Iowa City. Three commissioners met and selected a site two miles north of Napoleon on May 1, 1839. On December 31, 1839, an Act was passed to relocate the county seat of Johnson County with orders to keep present and future populations in mind. The site of the new county seat was easily chosen as Iowa City, the "capital" of the Iowa Territory. In January 1855, the Fifth General Assembly voted to move the state capital to Des Moines. The first courthouse built in Iowa City was a temporary two-story structure constructed of bricks. This courthouse burned to the ground in 1856. In 1857 this building was replaced by another courthouse, which was insured for $30,000. This brick building was used until 1899, when it was condemned. 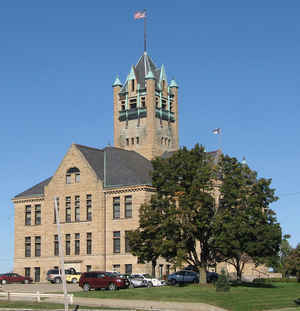 The cornerstone of the present courthouse was laid on December 2, 1899. It was constructed by James Rowson and Son at a cost of $135,000. Bands, balloons and a parade were part of the dedication ceremonies held on June 8, 1901. As reported by the Census Bureau, the county has a total area of 623 square miles (1,610 km2), of which 614 square miles (1,590 km2) is land and 9.1 square miles (24 km2) (1.5%) is water. Johnson county is located in east Iowa.